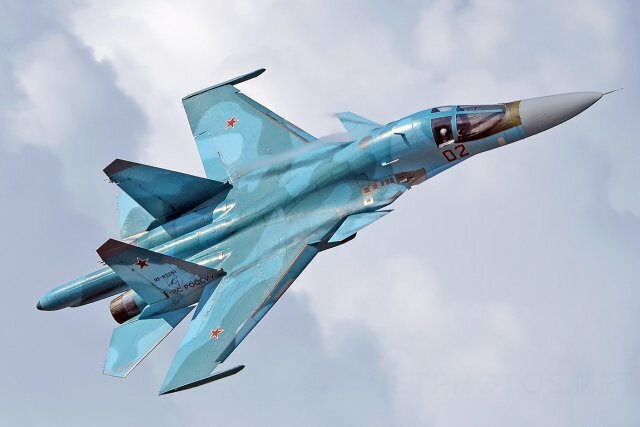 Two Su-34 jets accidentally hit each other mid-flight in Russia’s Far East, according to the country’s military. The fate of the crews remains uncertain. The jets “touched” each other in air while flying over the Sea of Japan, the Russian Defense Ministry has confirmed. The crews of the planes ejected, and a search and rescue operation has been launched. An An-12 plane and two Mi-8 helicopters are searching for the pilots, who apparently landed in the water. The incident occurred during a training flight. The planes were not carrying any weaponry, the military said.